With Bhutanese jobseekers already being placed in India, Dubai, Kuwait, Qatar and Thailand, the labour ministry is now looking at Japan and Australia, as the next destinations of the overseas employment programme. 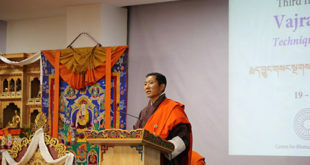 The ministry will help job seekers secure loans required for visa processing, training fees, institutional cost and air ticket according to the department of employment’s officiating director general, Ugyen Tenzin. To place the youths in Australia he said that loans required for fees, tickets and other expenses would be below a million ngultrums. 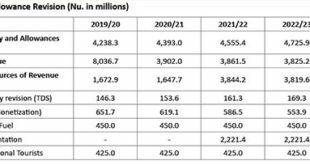 However, candidates are required to present a bank balance of Nu 3 million. He said the ministry is currently waiting for the Royal Monetary Authority to finalise loan products by the financial institutions. “The ministry will then seek approval from the government for the implementation of loan facilitation for overseas employment,” he added. The overseas employment program in Japan is more of a study and work program. “Under this program, youths will be undergoing Advance Japanese Language Course in Japan for two years and is expected to earn a good amount through part time work during the language course,” according to the officiating director. Once the youths are done with the Advance Japanese Language course, they will get recruited in regular jobs with a good annual income and jobs will depend on the qualification of the candidates or depending on the availability of the choices in the market. The ministry is sending around 60 candidates in the first batch who leave in April. 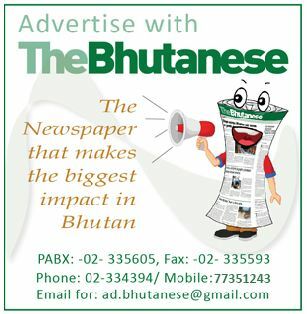 To be able to find part time work after arrival in Japan, the selected candidates in this program will have to undergo a basic Japanese course in Bhutan for 3-4 months. “If the program turns out to be successful the ministry, through the agent, plans to send about 500 candidates in 2017 followed by another 500 in 2018,” the officiating director said. He also said that the candidates would be monitored regularly as the program is fully coordinated by the ministry in collaboration with our own Bhutanese Overseas Employment Agent, who has collaborated with Japanese firms. However, he said that they are not sure about the job but have been promised that they will not be kept idle. Regestration is done or going on for Japan. I to want to apply la for fourth batch.may I know when the registration begins la. Can i study for my further studies and even earn ?? I too want to explore study la n I want to go la…if u can help me. Can i also continue my studies in japan and will i get student working visa?? I am 12 passedout la. How to apply for the job in Australia..
sir i want 2 go la…. I want to go to Australia for my further studies. I’m a degree qualified student. What do I need and what do I have to do? I would be really grateful if you guys could help me. Looking forward for your response. Thank you! I will be completing my diploma in hotel management on July 2019 so after completing it, I’m planning to work and study in Australia ,will that be possible? Kindly guide me please. i’m interested to go to Australia for further studies and to work side by side. i’m a diploma holder. so if you could help how to do and what to do then i would be very grateful to you ? I did +2 in the year 2014.. I don’t have proper destination till now. Lands onwhere.. I am a middle class boy, don’t have much financial support from relatives. I too wanna try to go abroad. So, if sir/madam could favour me in upgrading my life, I will b very much appriciated for ua concern la. I am enthusiastic job seeker as I believe, so is such program still going on. i want to go la…..
i cant support througt agents laaa..
Im going to work in any given working condition if the salary is balancing my working hour. Lets earn abroad and bring back in country and invest….creating jobs for our future.